Douglas S. Guild’s career in telecommunications spanned 53 years. He was in a unique position of starting with the Mutual Telephone Company of Hawaii before Hawaii was admitted to statehood with the U.S. The war years with the devastation of Pearl Harbor, the post war period with its dynamic growth, service and toll agreements with foreign countries, and very early demands for radio telephone service encompassing the five major islands of Hawaii, all led to the development of new techniques in communications in which Guild excelled. Because the local operating territory embodied the entire state, Guild was quick to recognize the impact of legislative activities on the telephone industry. Guild dealt directly with the U.S. Department of Defense and integrated and operated the entire military communications system in Hawaii swerving the Army, Navy and Air Force. His contributions and support to the military in World War II, Korea and the Vietnam conflict were truly outstanding. When COMSAT was established by Congressional action, Guild was selected by Congress to serve on the board as the representative from the Independent Telephone Industry. He served with distinction and received a Presidential Commendation for that work. He is listed in the “Who’s Who in America” as one of our leading industrialists, held director or trustee positions with six firms and was an active member of more than a dozen civic, educational and community organizations. His contributions, achievements and awards were numerous. 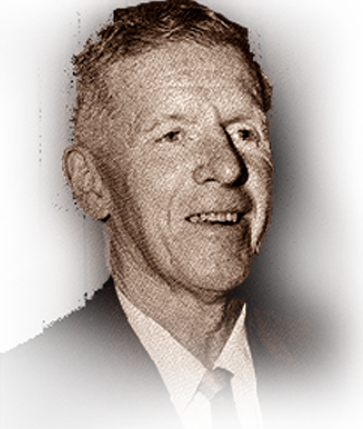 Doug Guild’s careers and achievements represent a unique and noteworthy contribution to the telephone industry. He died in 1981.